Nutella Raspberry Bostock is a modern twist on a classic French pastry, brioche aux amandes, that can be made by the most beginner of all beginners; no pastry chef training is necessary. 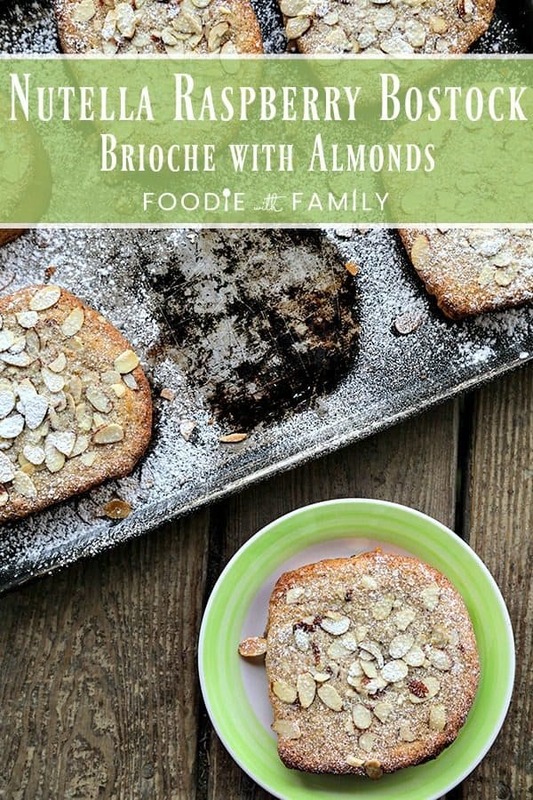 The traditional Bostock involves brushing a syrup or loosened apricot jam on day old Brioche which is then topped with frangipane -an almond paste made from almond meal, butter, sugar, almond extract, and eggs-, a fistful of sliced almonds, and baked ’til the top and bottom are golden brown and crisped and the inside is soft and dusted generously with powdered sugar. 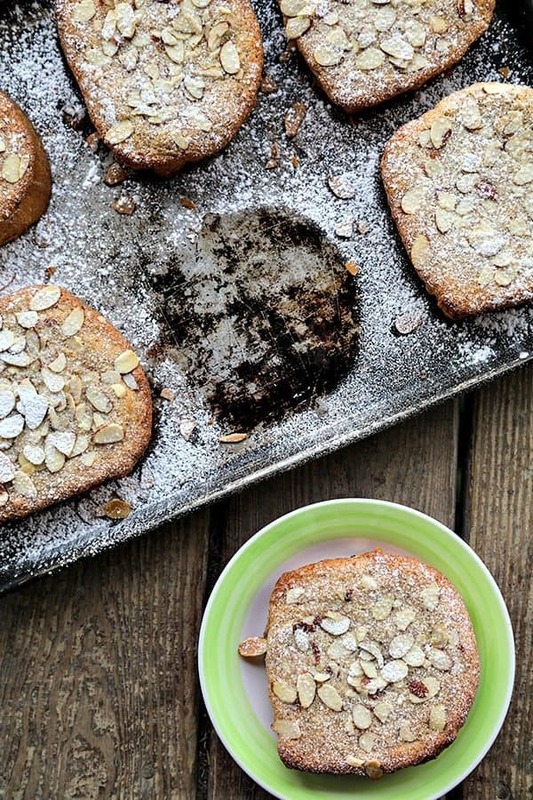 It is like French toast but better and far more almond-forward. If you’ve never had it, Bostock is best described as tender toast fused with an almond cookie top. Honestly, if you have someone in your life who loves almonds madly, then this is the best possible thing you could make for them. 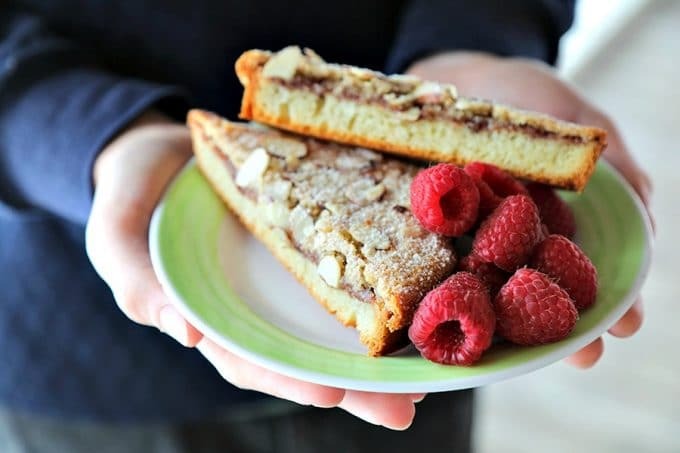 It is a wonderful brunch option when accompanied with berries, and our hint of creamy hazelnut and sweet-tart raspberry in place of the usual apricot makes this Nutella Raspberry Bostock, or Brioche with Almond Crust, positively luxurious. What makes Nutella Raspberry Bostock so indulgent is the richness of butter and almonds toasting together to form a crust on the tender bread with just enough Nutella and raspberry jam to keep it soft. If you can’t find brioche, challah makes an admirable substitute. Our frangipane recipe for the top calls for a combination of real almond and vanilla extracts. I know pure vanilla extract is getting expensive these days, so if you want, you can substitute this delicious Rodelle’s Baker’s Extract for the vanilla. It works especially well in our Nutella Raspberry Bostock because it is a combination of chocolate and vanilla extracts designed for both taste and economy. When it comes to raspberry jam, pick whichever one you love best. Homemade is wonderful, but there are some excellent commercial raspberry jams out there, too. Don’t skimp on the sliced almonds or powdered sugar, this is an indulgent dish and these are both integral parts of it! 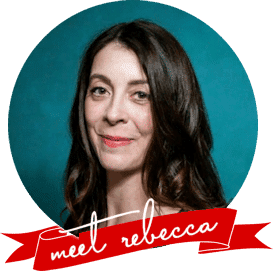 Nutella Raspberry Bostock keeps well at room temperature for 2 days when wrapped in plastic wrap or stored in a container with a tight fitting lid. You can stretch the Bostock to a third day of storage by refreshing according to the instructions below. 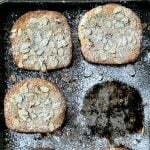 To refresh Bostock and serve warm by heating an oven to 350°F and popping it in the oven just until warmed through. Nutella Raspberry Bostock is a twist on the classic French pastry brioche aux amandes using Nutella and raspberry jam. With a crispy exterior and soft center, this almond crusted brioche is the best, richest French toast ever. Inspired by the Bostock at Elm Street Bakery in East Aurora, NY. Arrange the brioche slices on half sheet pans, leaving just a little room between the pieces. Heat the Nutella and raspberry preserves or jam together in a saucepan over very low heat or in a microwave safe bowl in 10 second bursts, stirring after each one, until loose and hot. Stir well until evenly combined. Divide the Nutella and preserve mixture evenly between the slices of brioche. Spread them evenly over the bread to the edges and let it soak into the bread while you prepare the Frangipane. Use a sturdy spoon, hand mixer, or stand mixer to mix together the almond meal, butter, sugar, eggs, extracts, and pinch of salt until it forms a cohesive, smooth paste. Divide the mixture evenly between the slices of brioche, using a butterknife to spread it evenly to the edges. Sprinkle the almonds over the frangipane then bake until the tops are set and puffy and golden brown, about 16-24 minutes. Dust generously with powdered sugar and serve warm or room temperature. 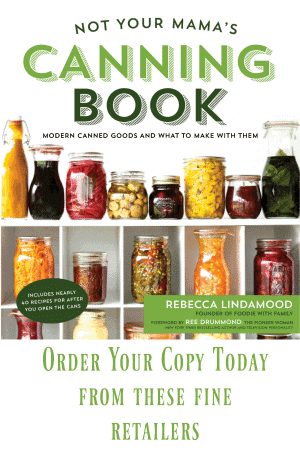 Leftovers can be stored wrapped or in a loosely covered container at room temperature for 3 days. See Cook's Notes for instructions on refreshing or reheating. Do you love Nutella Raspberry Bostock? Try these other dishes made with bread!